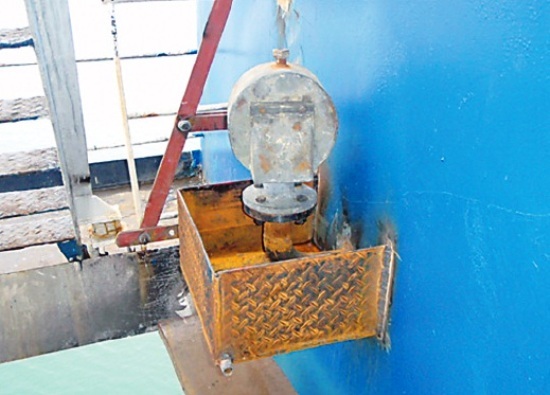 This incident is referring to a vessel which had an exhaust gas heated Thermal Oil installation. The thermal oil circulating pump stopped and the stand-by pump did not start. No alarm indicating abnormal condition was given. The thermal oil system temperature and pressure increased until the safety valve directed the oil into the compensating (expansion) tank. The expansion tank overflowed (again no alarm was given) through its air vent head. The air vent head was mounted inside the funnel, close to the exhaust pipes. An explosion was heard from the funnel followed by a fire. 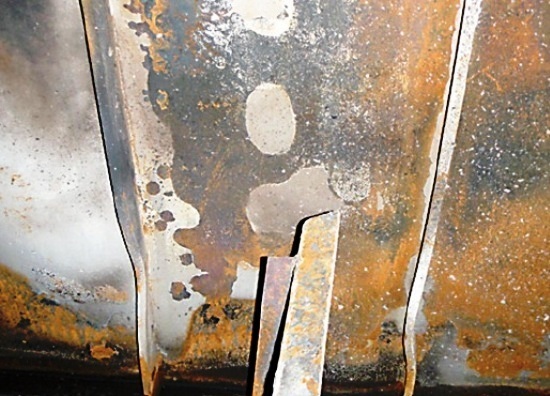 Temporary repairs were carried out and permanent repairs performed within three months. The immediate cause to the fire was the overflowing thermal oil through the air vent head, which most probably ignited by the hot exhaust gas pipes. 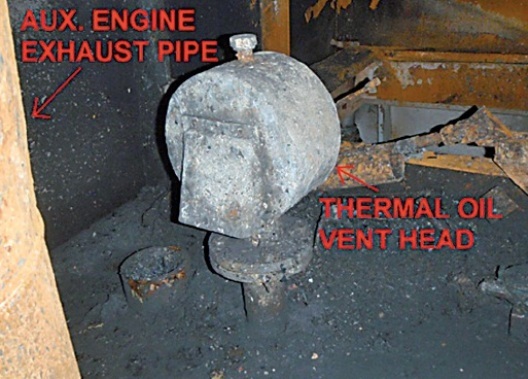 The vent head was located approximately 370 mm from the auxiliary engine exhaust gas pipe and 500 mm away from the main engine exhaust gas pipe. However, both pipes were found properly insulated but apparently this was not enough when sprayed with the thermal oil. The basic cause to the fire was the control system to the thermal oil loop. Apparently the stand-by pump and alarms did not work or were not installed according to best practice. Class rules require the air vent head for thermal oil boilers to be mounted outside the funnel/superstructure. Thermal oil exhaust gas boilers are safe systems if installed and operated properly. However, the proximity of thermal oil and exhaust gas pipes makes such installations of special concern from a fire safety perspective. The revised ISM Code (amended 1 July 2010), highlights even more than before, to assess risks, e.g. 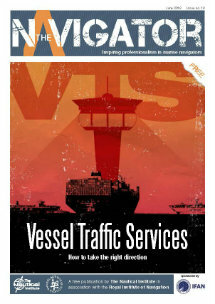 “assess and identify risks to its ship” and “identify equipment and technical systems the sudden operational failure of which may result in hazardous situations”. The illustrated case is one example of technical systems, which may be identified in such processes. Ship’s crew should periodically check automation and safety systems of thermal oil heat boilers to ensure functionality in case of abnormal situations. Ship’s crew should periodically check insulation of “hot surfaces” to ensure that such surfaces should not be a potential source of ignition. The importance of regular fire drills and training should not be underestimated and it is important for effective suppression and extinction of fires in real life situations.